What we do and Why: We are CraftedWild, a full-service cabinetry shop specializing in the design, manufacturing and installation of high-end modern and contemporary kitchens, closets and more. By passionately delivering both the personalized experience our clients deserve and innovative high-quality products they want, we are challenging the cabinetry status quo. We promise to keep you informed and in-control throughout the process, while making sure you are THRILLED with the result. *Authorized Dura Supreme Cabinetry Dealer* Plain & Posh, Best of Houzz Winner 2015-2018 , as well as, "Houzz Recommended Pro", is a full service design firm specializing in kitchens and baths. We offer distinctive cabinetry designs and finish selections at affordable prices. If you are considering starting a new project, we invite you to take a look at what we do and how we do it. The right design, product and price. Stephanie Frees is an award winning designer with over 25 years experience in the interior design and remodeling marketplace. Her focus on providing clients 'best in class' services is the primary driver behind her success in serving Chicago and surrounding suburbs. Stephanie founded Plain & Posh in 2006 with the intent to always provide the right design, product & price and to deliver all three with unmatched client service. We are an authorized Dura Supreme Cabinetry dealer! Wheatland Custom Cabinetry & Woodwork has been designing and building custom cabinetry and woodwork throughout the Chicagoland area since 1995. We focus on creating a space that fits your needs, style, and budget. With our in-house designing software and our 20+ years of designing spaces, we can give you a visual representation of how your space will look along with material samples that you can see and touch in person. When you hire Wheatland Custom Cabinetry, you hire a whole team that goes to work to making your dream space a reality. Let's get started today! Chicago Cabinet & Building Supply for 30+ years. 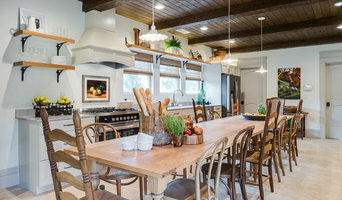 3X Best of Houzz! 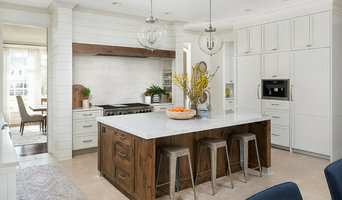 THE NEW STYLE EXPERIENCE New Style Cabinets, Inc. is a Chicago-based high-end custom cabinetry and millwork manufacturer. We opened our millwork shop close to a decade ago and since that time we have worked diligently to provide the highest quality of our products and services. With our European experience and commitment to hard work, we are the leaders in premium cabinetry and millwork manufacturing. Our staff has been designing and fabricating kitchens, offices, and custom cabinets for homeowners, developers, architects, interior designers, and contractors in Chicago and the surrounding areas. Whether you come to us with a specific vision or need some guidance exploring our products, our friendly staff is there to help you every step of the way. In addition, NSC monitors your project throughout production, construction, delivery, and installation to ensure the highest product quality and enjoyable customer experience. Neumann Custom Woodworking is a family owned custom cabinetry shop with over 53 years experience. At Neumann Custom Woodworking we combine the art of fine craftsmanship with our limitless custom capabilities. Our expertise, commitment and attention to detail will transform any ordinary home into an extraordinary home. Whether your home is contemporary or traditional, Neumann Custom Woodworking focuses on each customer's individual desires to create a design that will make your home intrinsically beautiful. Our expertise includes designing, building and installing custom kitchen cabinetry, bathroom vanities and entertainments centers. In addition, our broad customer base has utilized our capabilities to create complete custom libraries including fireplace surrounds and wainscot for their homes. It is the fine quality of cabinetry and value of our workmanship that our customers have come to expect and admire. Passion for our customers is our driving value. Our collaborative approach includes services such as verifying measurements, door samples for customer approval and Computer Aided Design(CAD) drawings. From concept to custom finishes, Neumann Custom Woodworking encompasses the knowledge and experience to handle the most demanding of designs. At Neumann Custom Woodworking our primary objective is to bring true value to our customers through our innovative cabinetry designs and quality of timeless craftsmanship. We professionally Refinish or Reface Kitchen Cabinets throughout Chicago to provide our clients with significant savings without sacrificing the style and quality they seek. We provide the most advanced process in the industry. For cabinets we offer three refinishing processes- A Basic Renewal focuses on retaining the current color while adding a factory hard finish restore the luster and protection of the finish. If your cabinets are a natural finish showing the grain, our Custom Staining process will change the color to a rich dark shade and we will add a new protective finish to the cabinets. If you like the painted solid color that removes the coloring of the grain, choose one of our Custom Painted Finishes in a custom color, we then add a clear coat finish in the sheen of your choice. We are the only local company that will harden the cabinet finish with ultraviolet light similar to the process use in new cabinet manufacturing. We are more than happy to provide you with a free consultation in your home. Built Custom Carpentry specializes in high to ultra high end fully custom cabinets, built-ins, and other woodworking/carpentry. We operate as a one-stop provider for all aspects of the project, from design to final installation. We operate in Chicago's North Shore and other nearby areas and are based in Northbrook. All of our products are built to last stemming from our focus on good design followed by strict adherence to the finest craftsmanship and quality of raw materials. We specialize in special one-of-a-kind projects from built ins and cabinets to difficult challenges and exquisite custom furniture. Chicago area dealer of quality Authentic Amish-made cabinetry from Central Illinois. Amish Custom Kitchens has been in business since 1995. All our cabinets are custom made by Old Order Amish and blanket-wrapped delivered directly to your home. Each cabinet is constructed using solid woods and traditional construction methods such as mortise tenon joinery and dovetailing, providing cabinets which will last a lifetime and make their installation less complicated. In this age of assembly lines and production quotas, Amish Custom Kitchens returns to the quality of yesteryear and leaves you smiling for years to come. Custom Cabinet Source crafts any custom cabinet solution to exactly match the style, shape, size, color, wood and finish you want. We work in a variety of natural woods and high-quality veneers that accent any custom entertainment center, bathroom vanity, kitchen, office desk or display. Our custom countertops, fixtures, built-ins and wall units enhance the look and feel of any space and are built to last a lifetime. DMD is proud to assist in a wide portfolio of projects including a variety of applications, not limited to windows, doors, cabinets, floors, dry wall and trim. Our experienced professionals work closely with custom home builders and architects along the North Shore providing high quality products and superior customer service to ensure exceptional results. We take ownership of our project as if the home was our own. Vida Cabinets offer the highest quality, custom hand-made and always delivered on time cabinets. We offer masterfully crafted designs in a variety of styles and colors in order to reach that perfect balance of aesthetics and functionality. It all started back in Poland with Vida’s lead craftsman, Andy. When Andy was a child, he spent countless hours watching his father and grandfather build beautiful furniture, hand-crafted down to the finest detail. Andy watched and learned the old trade secrets of these European experts, and decided at an early age that this is what he wanted to do — and do it better than anyone else. Vida Cabinets was started with that goal in mind. We stand by the entire process from start to finish, with a 100% customer satisfaction guarantee. If something does not meet your complete satisfaction, we’ll fix it, and fast. Quality Craftsmanship Made Affordable At The Amish Cabinet Company, we implement true old-world craftsmanship with an obsessive focus on details to provide a level of quality unmatched by ordinary mill shops, warehouses or outlet stores. Custom cabinet-making is our passion and our pride. We provide superior quality in every piece that we build while offering unlimited styles and finishes to fit every personality and budget. Cabinetry professionals design, construct, refinish and repair banks of conventional cabinets, but they also create customized storage and shelving for home offices, playrooms, bedrooms, media rooms and other spaces. 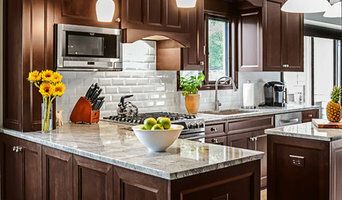 They’re in the know about Illinois design trends and different cabinet styles, as well as the latest in special inserts and other options that boost functionality. Cabinetry professionals also can craft furniture to your specifications, such as a corner cabinet for a kitchen or a dining room hutch. In addition, Wheeling, IL cabinetry pros can help you give worn or dated cabinets a makeover. They can replace doors; add glass inserts, decorative moldings and other details; or give cabinetry a new coat of paint or specialty finish. Your cabinetry professional might work closely with an Illinois kitchen designer, builder, remodeling contractor or interior designer. Here are some related professionals and vendors to complement the work of cabinets & cabinetry: Kitchen & Bath Designers, Kitchen & Bath Remodelers, Interior Designers & Decorators, Closet Designers and Professional Organizers, Woodworkers & Carpenters. Find a cabinetry professional on Houzz. Narrow your search in the Professionals section of the website to Wheeling, IL cabinets and cabinetry. You may also look through Illinois photos to find examples of cabinets that you like, then contact the cabinetry professional who worked on them.